244 pages | 41 B/W Illus. 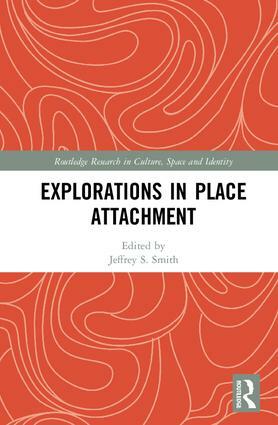 The book explores the unique contribution that geographers make to the concept of place attachment, and related ideas of place identity and sense of place. It presents six types of places to which people become attached and provides a global range of empirical case studies to illustrate the theoretical foundations. The book reveals that the types of places to which people bond are not discrete. Rather, a holistic approach, one that seeks to understand the interactive and reinforcing qualities between people and places, is most effective in advancing our understanding of place attachment. Jeffrey S. Smith is an Associate Professor of Geography at Kansas State University, USA.